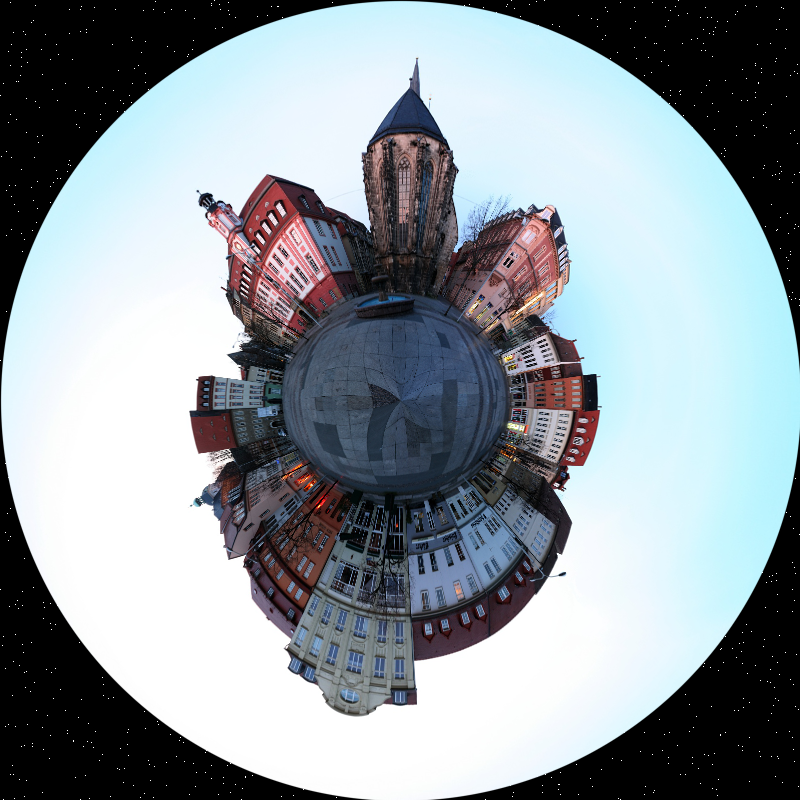 Transforms a spherical panorama to a linear fisheye view. 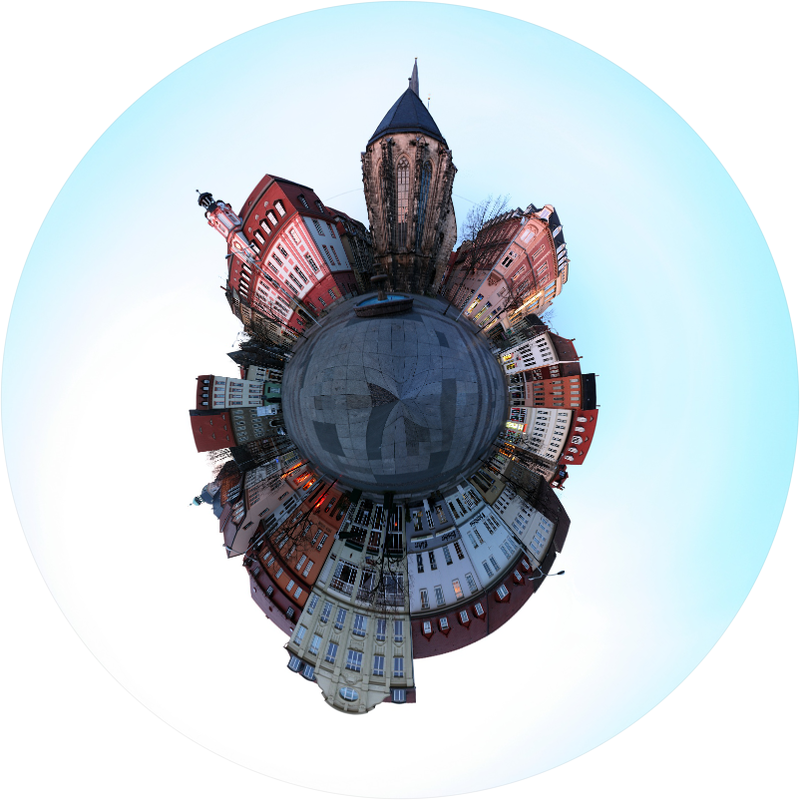 PURPOSE: To transform a spherical panorama to a linear fisheye view. 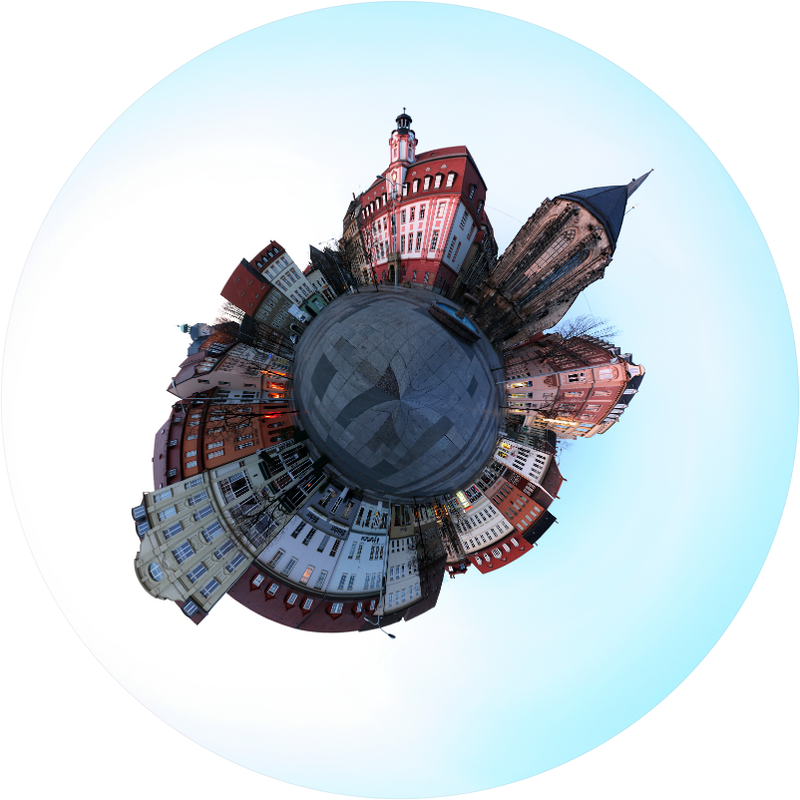 DESCRIPTION: TINYPLANET is designed to transform a spherical (equirectangular) panorama to a linear fisheye view. The spherical (equirectangular) panorama's pixels represent x=longitude and y=latitude. That is, both x and y are angular units. Longitude corresponds to 360 degree range. Thus the left and right sides must wrap contiguously. This means there should be a width to height aspect of 2:1. An normal image can be faked to simulate a spherical panorama by cropping to w/h aspect of 2:1 (width is twice the height), then mirroring it horizontally, appending horizontally, then cropping the center half and rolling it horizontally 50%. The script also allows the output to have any rotation and can be animated in rotation. For animations, be sure to use an output format that supports animation, such as gif. -d dimension ... DIMENSION is the square dimension of output image. Values are integers>0. The default is the height of the input. -b bgcolor ... BGCOLOR is the color for the area outside the circle of the fisheye region. Any valid IM color is permitted or the special name of "stars" to create a black background with random point star field. Use "none" to make the background transparent. The default=white. -r rotate ... ROTATE is the (initial) rotation angle for the output relative to the top of input being north on the output. Values are floats>=0. The default=0. -f fade ... FADE is the amount of fade in pixels between the top of the input image and background color for viewtype=planet. 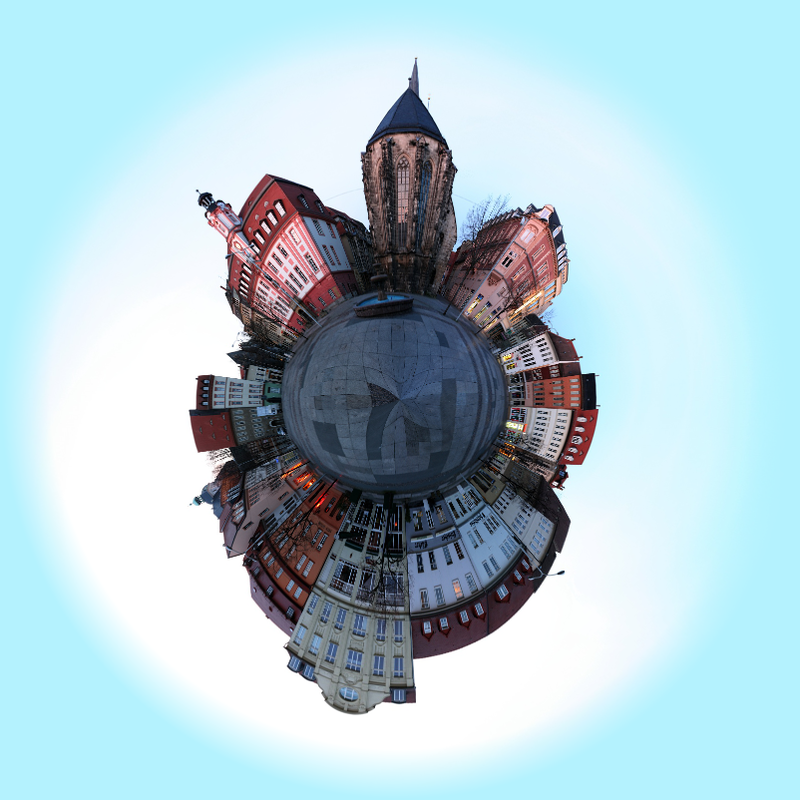 This is a preprocessing step so that the outside of the fisheye circular region will fade to the background color. Values are integers>=0. The default=0. -s smooth ... SMOOTH is the amount of smoothing for antialiasing when bgcolor=none or stars. Values are float>=0. The default=0. -t threshold ... THRESHOLD value for controlling the number (density) of random stars. Values are floats>=0. Larger values produce less stars. The default=99. Nominal values are 99 to about 99.9. -n newseed .. .NEWSEED is the random seed for creating the star field when bgcolor=stars. Values are integers>=0. The default is totally random star placement from run-to-run. -i increment ... INCREMENT is the angular increment in degrees for generating a rotating animation. Values are floats>0. To avoid irregular rotation, use a value that divides evenly into 360 (e.g. 2,5,10,15,20,30,45). The default is no animation. -d delay ... DELAY between frames of the animation. Values are integers>=0. The default=20. It is not recommended to use 0. NOTE: For animations, be sure to use an output format that supports animation, such as gif. This is equivalent to the following IM commands for the case of a simple color background.